A musical dramatic comedy about a fictional one-hit wonder band, That Thing You Do! captures the vibe of an era but remains as shallow as its one hit song. 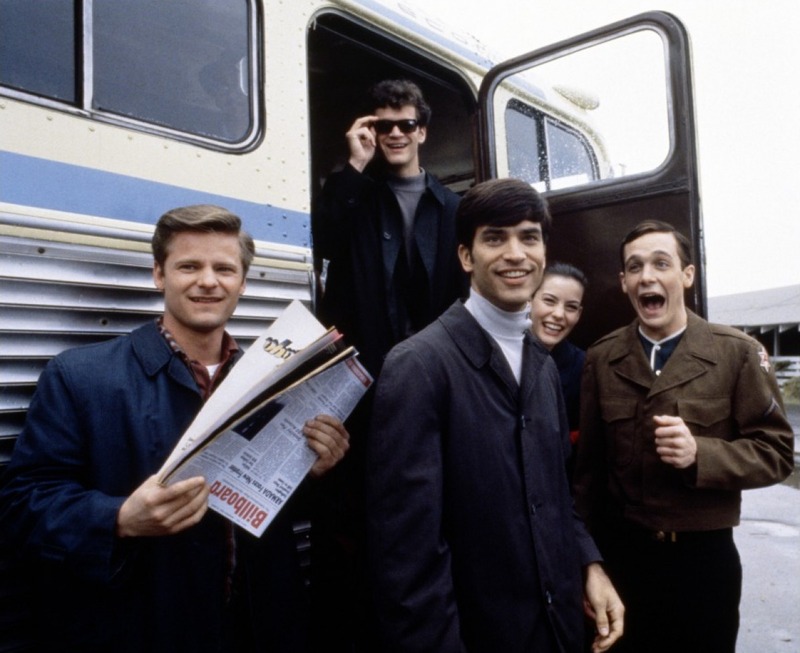 It's 1964 in Erie, Pennsylvania, and Guy Patterson (Tom Everett Scott) works at his father's appliance store while practicing his drums as a hobby. He agrees to perform on a one-off basis with the band of his friend Jimmy Mattingly (Johnathon Schaech) when the regular drummer breaks his arm. Jimmy has written a new ballad, but Guy doubles the tempo and turns That Thing You Do! into a peppy pop love song. Guy sticks with the band, now named The Oneders, and they land a regular show at the local bar. On the strength of the catchy song they develop a following, attracting the attention of a local music producer who helps them cut a record and start touring locally. 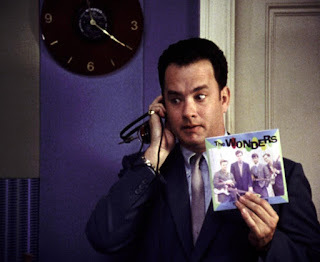 At an unfortunately bad show in Pittsburgh, Guy connects with promoter Mr. White (Tom Hanks), who signs them to Play-Tone Records. Renamed The Wonders, the band hit the road and seem to be on their way to the big time as the song races up the chart. But Jimmy is frustrated that neither his fellow band members nor White seem interested in writing and recording more material. Tom Hanks' directorial debut, That Thing You Do! is good natured fun. Much like the band, the film rides its one ridiculously catchy song all the way from garage band territory to the top of the charts. But the story is also remarkably linear in recounting the rapid rise and quicker fall of a ragged band, and at the end of the film little of substance is revealed about any of the main characters. The movie recreates a more innocent America discovering the sounds of The Beatles and not yet tainted by Vietnam and Watergate, the young boomer bonhomie of the times providing plenty of energy. Hanks constructs a breathtaking highlight when the young band members hear their song played on the radio for the first time, their sense of unbridled joy and exuberance jumping off the screen. The title song is inspired by I Want To Hold Your Hand-era Beatles, and the film benefits from an everything-is-possible attitude, where with the help of the right promoter and radio play new stars can indeed be born. While the rise of The Wonders is spectacular, their fall from grace is abrupt, and the film begins to feel rushed when the fun stops. A clunky romance is tacked on to conjure up a sappy ending, but by then the magic is well and truly gone. Tom Everett Scott is lively as the cocky drummer Guy Patterson, not taking anything too seriously as he rides the wave as far away as possible from his father's cold appliance story. Hanks exudes detached and steely eyed professionalism as Mr. White, engineering the band's rise and prioritizing the commercial power of their one hit. Johnathon Schaech as the serious Mattingly is short changed, Hanks' script confining the band leader to one dour mode, while his smarts and drive deserved more exposition. Other cast members include Liv Tyler as Jimmy's girlfriend Faye and Charlize Theron as Guy's high maintenance and soon to be ex-girlfriend Tina. The band members are rounded out by Steve Zahn, Ethan Embry and Giovanni Ribisi. That Thing You Do! offers light-hearted toe-tapping enjoyment, like a summer hit that's everywhere at once before blowing away when it's time to get serious.